It's a necessary part of any mix, and a delicate art. Find out if you're overdoing it or making one of these simple errors in your EQing process: avoid a 'muddy,' 'boxy' or harsh mix and optimize your EQ workflow with these tips. A muddy (or murky) mix has too much low end. Pretty much any track can contribute to an abundance of low-end energy (due to close-miking, long-decaying reverbs, over-boomy synth sounds or drum samples), so you have to be especially careful about which tracks you allow through in this range. It’s a good approach to allow just one or two elements in your mix—usually kick and bass—to occupy this critical space. A boxy mix has too much mid-range frequency, typically between 250 Hz and 900 Hz or so—these frequencies typically contribute to a sound’s ‘body’—but too much will result in the mix as a whole sounding boxy. A poor arrangement can be a big contributor to this, too. Do you really need those 15 guitar overdubs? Consider muting any midrange elements that aren’t essential. A harsh (or brittle) mix has too much high mids and/or high end. The human ear is most sensitive to frequencies in the 2 - 5 kHz range, so any elements in your mix that are rich in that area will sound closer to the listener. As a result, novices tend to pile tons of those frequencies on everything—vocals, guitars, drums, cymbals. Though when used in the correct proportions, high frequencies above 5-6 kHz or so can add a pleasing sparkle and/or “air” to a mix, and a little extra brightness is a good way to catch people’s attention. However, too much can make the listening experience quite unpleasant and fatiguing. Be aware also that some “aural exciter”-type plugins can add lots of high-end sheen. The best way to know if you've been excessive is the ‘stabbed in the ears with a pen’ test (brutal, we know): Listen to your mix at a fairly high volume and see if you feel that way. If you do, trust that there’s too much high end. A dark mix has too little high end. One easy fix is to add a dB or two of boost at 7 - 10 kHz to the kick or snare, or to a selected guitar track or two. You’ll be amazed how much the overall sonic character of a mix can change with just that one little tweak. An unnatural-sounding mix probably has too much EQ, period. Back off, yo! Don’t feel that your ears are well-trained enough to make these kinds of judgement calls? Keep reading on to the section about reference listening. Yes, we’ve said it before, but we’ll say it again: Trying to mix (or master, for that matter) while listening through inaccurate speakers in a room that is not acoustically treated is like attempting to paint a picture while wearing dark sunglasses covered with grime and smudges. 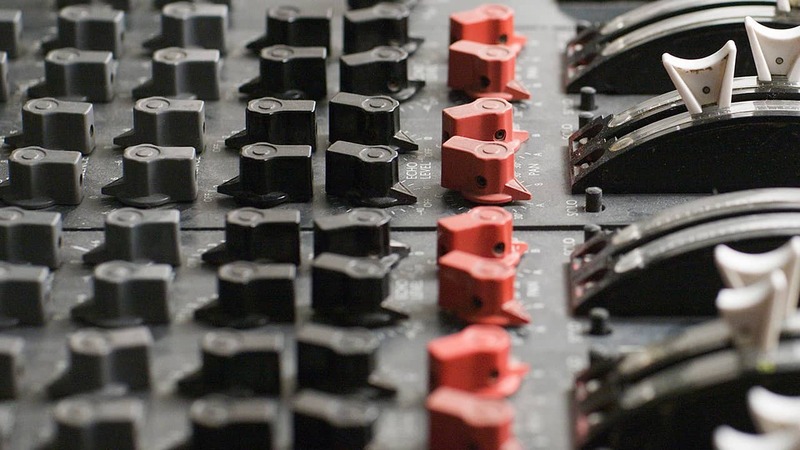 A muddy mix is often a result of compensating due to monitoring over small speakers that are bass light, while a mix that is notably thin and lacking in punch is a good indication that your listening space has prominent room “nodes” (resonant low-end frequencies that often occur in untreated rooms). The solution? Always invest in the most sonically neutral speakers you can afford and be sure to install at least some basic acoustic treatments (such as bass traps, diffusers, etc.) in your room. Always be sure to reference on multiple listening media: studio monitors, your home stereo, laptop or phone speakers, headphones, or a virtual mix room over headphones such as Waves Nx. When a mix is lacking in detail—in other words, when you can’t easily pick out the individual elements—it’s almost always the result of a failure to carve out distinct frequency areas for key instruments. That’s due to an acoustic phenomenon called masking, which occurs whenever you have two or more signals with predominantly overlapping frequencies. In such instances, the human ear cannot perceive them as separate sounds, and all you end up hearing is the loudest one, with the softer signals essentially obliterated. Not a good thing! So, if you want to boost a certain frequency range on one sound, try cutting that same frequency range on other sounds to improve clarity and avoid clashes. This is particularly important when it comes to bass guitar and kick drum, which often have their harmonic bases (their fundamentals) living in the same low-end zone (roughly 50 - 85 Hz). For this reason, you have to decide which one will be on top and which will be on bottom in the mix. If you opt to give the kick the low-end responsibility, then the bass needs to occupy the mid-low range (in the 100 - 300 Hz area) instead. One of the most powerful weapons in accomplishing this is high-pass filtering, where signal below a certain frequency is rolled off. However, be careful not to apply overly steep curves or you’ll end up with a brittle, artificial-sounding mix. Also, when setting filter frequencies, always be sure to listen within the context of the entire mix—don’t just solo the tracks you’re working on. When listening in context, you might be surprised by how far up the spectrum you can go before a sound starts to lose warmth. You can also, of course, do the converse: apply low-pass filtering to mid-range and trebly instruments to help separate them from the rarefied “air” added by cymbals, high-hats, shakers, and vocal sibilance. Be especially careful when filtering percussive sounds, however, as these can lose apparent punch long before their overall tone seems to change. As with most audio processes, it’s important not to overdo filtering. Don’t apply it to everything, and avoid filtering multiple tracks at the same frequency—a practice which can cause phasing issues and an unnatural sound. You may think it’s a good idea to filter all the low-end out of every track besides kick and bass, but it’s not, because doing so can cause your mix to sound thin and brittle. Some sounds—actually, most sounds—need a little low-end. And in fact, a little masking can be a good thing—it adds power and mystery. Remember: The goal here is to create cohesiveness, where all the elements of your mix sound like they belong together, while still occupying their own tonal space. Besides, when the same frequencies are repeatedly boosted, the end result will be a mix with an obvious over-emphasis at those tonal centers. Do this to multiple songs in an album and that’s an instant formula for inducing listening fatigue. Even in the best-case scenario, this can make your mix sound formulaic and/or over-processed. So if several tracks need some added presence—say, multiple guitar or synth parts—the best approach is to apply slight boosts at different center frequencies for each. This will have the effect of blending them nicely, yet giving each part its own character. Operating under the general principle of ‘less is more,’ using EQ to cut will almost always yield better results than using it to boost. After all, in the real world, frequencies are always being absorbed (by walls, objects and carpeting) much more than they are being boosted. As a result, cutting frequencies sounds more natural… and, as a bonus, it preserves headroom. This may seem obvious when it comes to reducing offending frequencies, but did you realize that you can use this technique to enhance frequencies too? For example, if you’re trying to make a mix sound more present, try carving away some low-end (or low mid) frequencies instead of hyping the upper midrange. By removing some of the low-end clutter, those upper midrange frequencies will stand out more, and without inducing added harshness or boxiness. If you’re determined to do some boosting anyway, know that it works better on extreme low-end and high-end than it does on midrange frequencies. That’s because the human ear is less sensitive to phase shift at the extremes of the audible spectrum. Above all, avoid using EQ as volume control. A classic newbie error—during tracking as well as mixing—is to slowly boost every available band until they’re all turned up. Much better to cut only those bands you want to hear less of, leaving everything else alone. Most equalization plugins are parametric, meaning that they provide a width (“Q”) control to narrow or widen the frequency area being affected, which can be very handy to custom-tailor your EQ adjustments with precision. In addition, the highest and lowest bands can also usually be used for shelving; that is, they can roll off frequencies above or below, or they can act as a low-pass or high-pass filter. Such bands will offer a slope control that allows you to adjust the gradient (gentle or steep) at which the gain rolls off. So what kinds of “Q” and slope values should you be using as you mix? The answer is simple: Low (wide) Q and gentle slope, almost always. The only exception should be when you need to make “surgical” fixes to remove one particularly offending problem-frequency. Trying to brighten a signal with EQ before routing it to a compressor or limiter can be a fool’s errand, especially if you set fast attack times that clamp down on the signal before the transient—the component that typically contains most of the high-frequency energy—can get through. The end result will be a dulled signal—exactly the opposite of what you’re trying to achieve. Instead, try inserting your equalizer plugins after compressors or limiters. However, experimenting with this is key: for example, boosting or reducing some of a signal’s low end or low mids before it enters a compressor will affect the sound energy hitting the threshold, and in turn, how the compressor reacts; try this a few different ways so you can work to achieve the result you're after. Music changes. Every mix you do consists of multiple sections, each often eliciting different moods and emotions. Some sections are loud, others are soft. Instrumentation may vary, as well as the registers instruments play in, which in turn affects their timbre. The singer attacks the choruses differently from the verses, emphasizing certain words (or even certain syllables), backing off on others. And even the best set-up instruments played by the most skilled musicians tend to produce certain notes louder than others—a common problem with bass in particular. That’s the reason why traditional equalization alone is sometimes not enough. Sure, boosting some upper midrange will add bite to the guitar but will also make the vocal shrill whenever it strays into that area. Do some low frequency shelving at 60 Hz and, yes, it will reduce the boom of the kick drum… but it will also affect the fundamental of the bass when low notes are played. Rolling off high frequencies to reduce the harshness of cymbal crashes will dull their sound even when they are tapped gently. Dynamic equalizers combine precision equalization with characteristics from compressors/expanders and sidechain triggers, as opposed to traditional static equalization, which is applied to a sound from start to finish. For example, if there’s masking between a bass sound and a kick drum, you can use the kick signal as a sidechain trigger to the bass and set an extremely fast attack and release time so that the frequency content of the bass is altered only during the split second that the kick drum is played. With the masking frequencies of the bass momentarily reduced through compression, the kick drum cuts through the mix much more effectively. A good example of this is the Waves F6 Floating-Band Dynamic EQ, which offers six floating bands, each with full control over width, gain, range, threshold, attack and release. Both internal and external sidechain inputs are provided for each band so that the specified frequency is compressed or expanded only when the sidechain signal exceeds a user-defined threshold. In addition, there’s a unique “split/wide” mode that allows you to optionally filter the audio being used as the sidechain trigger. The key here is experimentation and getting to know the equipment. 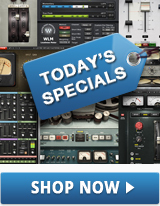 Certain EQ plugins will undoubtedly sound better than others on specific mix components. Drum samples and synth parts, for example, often benefit from the application of EQ from plugins modeled on analog units, while vocals recorded through a tube microphone are sometimes best treated with a touch of precision EQ so as not to blunt the impact of the signal. This varies, and each emulated hardware unit imparts its own ‘character’ in the way it handles EQ curves and harmonic response. Bad idea. Nobody except a skilled mastering engineer should be applying EQ to an entire mix. If you have even the slightest inclination that doing so will “fix” your mix, you’re wrong: This is actually an absolute sign from the heavens that you need to remix. Most home and car systems have subwoofers these days, so it’s critically important that the sub-bass (inaudible “feel” frequencies below around 40 Hz) be correct in your mix. Unfortunately, mixes done in home recording environments are often done on small speakers (or on headphones) that can’t reproduce sub-bass. In situations like that, you’re completely unable to hear components in your mix (such as rumble from mic stands and floor vibrations) that consumers may hear all too clearly. Obviously not a good thing! Yes, a competent mastering engineer can (and should) check for and remove any surplus of sub-bass, but it’s far better (and easier) to do this during mixing. One solution, of course, is to add a subwoofer to your monitoring system, or at least use full-range speakers that can give you some idea of the sub-bass content. If you can’t do that, you can always insert an RTA (real-time analyzer) plugin like the Waves PAZ Analyzer, which will give you a graphic representation of the tonal balance of your mix. Make sure that there’s some energy below 40 Hz, but not an overabundance of it. If you see too much activity in that frequency range, apply high pass filters to the tracks that are the cause—easy enough to ascertain by soloing likely culprits (such as anything recorded with a microphone) one at a time. Other than that special circumstance, you should never equalize in solo, only in context. In other words, never reach for an EQ control while listening to a track on its own. After all, no listener will ever hear it that way! Hours of mixing at high sound pressure levels (SPLs) progressively compromises your ears’ sensitivity to high frequencies. To compensate, you end up boosting the highs and upper mids in your mix to get back the detail and presence your tired ears can no longer hear clearly. Then you check your mix the next morning, and it’s like fingernails on a blackboard! In addition, there’s something called the Fletcher-Munson effect. It’s too technical to get into here, but basically it means that the ear is much less sensitive to bass and high frequencies when listening at low volumes than at high volumes. (That’s what the “Loudness” button on consumer stereo systems does—it compensates by boosting low and high end.) So, ear fatigue aside, if you adjust EQ while monitoring at loud levels, your mix might sound thin and dull at more normal playback levels. The solution is simple: Mix at relatively low, comfortable listening levels most of the time (it’s okay to crank things for a few minutes every now and then to hype yourself and check that you haven’t taken things too far), and take frequent breaks. Your ears—and your listeners—will thank you. As a mix progresses and you tweak away, your ears become accustomed to the new tonality, making it tempting to keep adding more and more EQ—“Hey, sounds good, so let’s try a little more” becomes the mantra. Trouble is, before you know it, you’ve fallen victim to EQ “creep”—over-adjusting to the point where the entire mix is starting to sound totally unnatural. Worse yet, you may have strayed far from the original intent of the recorded tracks—the cardinal sin of every mixing engineer. Fortunately, the solution is simple: Periodically bypass your EQ plugins—yes, all of them—and listen closely to both individual tracks and the entire mix. Then ask yourself the question: Have you really and truly enhanced the signal with all of the adjustments you’ve made? Getting the sound of the raw recordings back into your brain is the way to avoid this all-too-common pitfall and promote the use of only as much EQ as is necessary to actually make things better, not worse. Mixing is like putting together a jigsaw puzzle. The key is to make sure that the tracks—the individual parts—all fit together, not just from the technical standpoint of clarity and detail, but also musically and aesthetically. EQ, properly applied, can definitely aid in achieving that goal… but, misapplied, it can move you further and further away. 15. DO reference listening… a lot! Ever put your iPod or smartphone in shuffle mode? If you have, you already know that there’s no standardized quantity or blend of lows, mids, or highs in any mix. That said, it’s probably not a good idea to craft a mix with an overall tonality that makes it feel out of place alongside comparable commercial tracks. For that reason, you should bring your mixing to a temporary halt every now and then and listen to some commercially released recordings in a similar genre, over the same sound system you’re using, and at the same level. Sure, the reference tracks have the advantage of having been mastered (so it may be louder or have less dynamic range), and the music you’re working on is different—and hopefully stamped with its own original character—but you still need to ask yourself how it compares tonally; use it as a measuring stick. As a double (or triple) check, listen to both your mix and the reference on more than one listening system, and at different playback volumes. If there’s an obvious mismatch in tonality, you probably should start rethinking things in terms of EQ. This is the case even if you know you’ll have the luxury of a skilled mastering engineer to further refine your completed mixes. You really don’t want them applying drastic mastering EQ, if for no other reason than doing so can upset your carefully crafted balances. EQ can be used to solve many tonal problems; but in certain cases, multiband compression can assist as well. Learn about multiband compression so you know which to use, when.